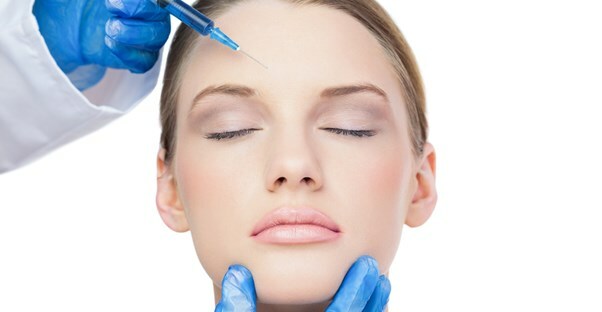 The popularity of botulinum toxin injections as a cosmetic procedure has misled people to think it is without complications. However, if you are considering Botox, there are five side effects and risks of which you should be aware. Allergic reactions can occur in patients who are allergic to eggs, as the Botox material is prepared with an albumin base. These reactions may include hives, itchiness, faintness, difficulty breathing, and swelling of the face, lips, tongue, or throat. Bruising after the procedure is normal. Patients can minimize the intensity by keeping strenuous activity to a minimum and by avoiding aspirin, ibuprofen, and naproxen. Long-term bruises can be treated with topical medications. The most common risks are drooping eyelids, asymmetrical eyebrows, or crooked smiles. Ptosis, severe drooping of the eyelid, can occur in up to 5% of Botox patients. To avoid these problems the doctor must assess your features to see if you are a good candidate for the procedure. If injections are not accurately dosed and correctly positioned, the toxin may spread to adjacent facial tissues causing serious complications including paralysis, vision problems, flu-like symptoms, and trouble breathing or swallowing. It could also travel to the central nervous system and cause serious long-term damage. Rare but serious risks exist when large amounts of Botox are injected into the neck. If the toxin spreads to the muscles which control swallowing, this can bring about coughing, aspiration of food, and even pneumonia. Because side effects and risks may be affected by other health issues, you should clearly communicate to your doctor if you suffer from conditions such as allergies, heart disease, or diabetes. Botox injection is a medical procedure and should be performed by a cosmetic surgeon or dermatologist whose office is regulated to assure patient safety. This procedure is not cheap, so you should avoid deals which seem too good to be true. The most important step in preventing health risks is to do your research. Choose a doctor who is legally licensed and appropriately trained. Ask questions to be sure your provider uses FDA-approved botulinum toxin under bona fide brand names like Botox, Dysport, and Xeomin. Be sure the preparations used by your doctor meet the criteria required by the FDA’s Risk Evaluation and Mitigation Strategy.